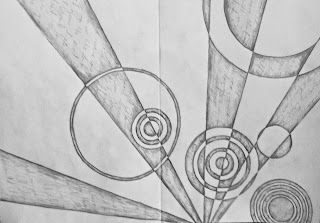 I couldn't decide what to do for the next page of my sketchbook, so I did a Google images search for 'abstract styles' and used the first one that appealed to me - a retro poster with rays and circles. It was kind of fun, and unusual for me, so it seemed like a good fit. I started out doing the writing along the rays, but for some reason forgot to adjust the angle as I moved, so it ended up perpendicular at the end. That's OK, it was kind of a nifty composition experiment anyway. I d feel like it's missing something, though. i like it very much; as i do with the drawings from your earlier posts! 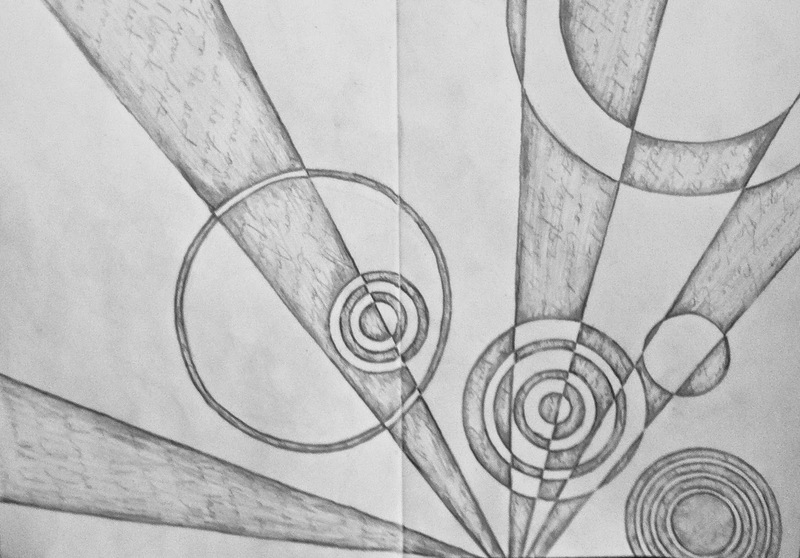 I wanted to try something a little bit different, so I did an asymmetrical composition. It's not really ideal, but I don't think I can change, or at least sufficiently erase it now.